In conjunction with STEM Learning we offer a programme of Primary Science Network meetings throughout the academic year. These meetings are a chance for subject leaders to learn about the latest local and national initiatives in science and keep abreast of developments within the subject. We are also very proud to be leading an ENTHUSE Partnership and are offering a number of courses linked to this exciting project in the forthcoming year. These courses are free of charge thanks to the ENTHUSE Partnership fund. Click on course titles below for more details and to book. 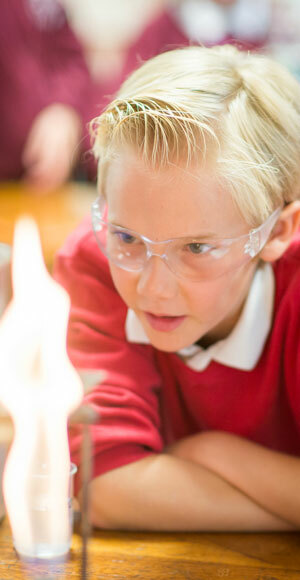 Working Scientifically in KS2 - Why & How? Malmesbury School has developed a central bank of science equipment which is available for all the primary schools in the area to borrow free of charge. All we asked is that it is returned in the state it was given to you. For more details visit our Science Outreach Page. Thanks to the ENTHUSE Partnership fund we are offering a free training session for all primary schools on Teaching Assessment in Primary Science, 2nd November 2017 Click here for more details and to book your place.